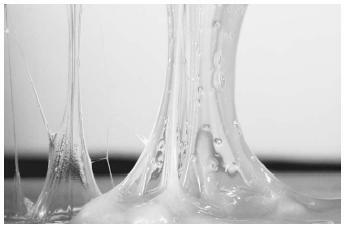 dbclunie: What Adhesive Do You Use When 3D Printing On Glass? What Adhesive Do You Use When 3D Printing On Glass? I recently upgrade my 3d printer, a replicator 2x, with a heated print bed made of aluminum and which used as the print bed borosilicate glass plates. 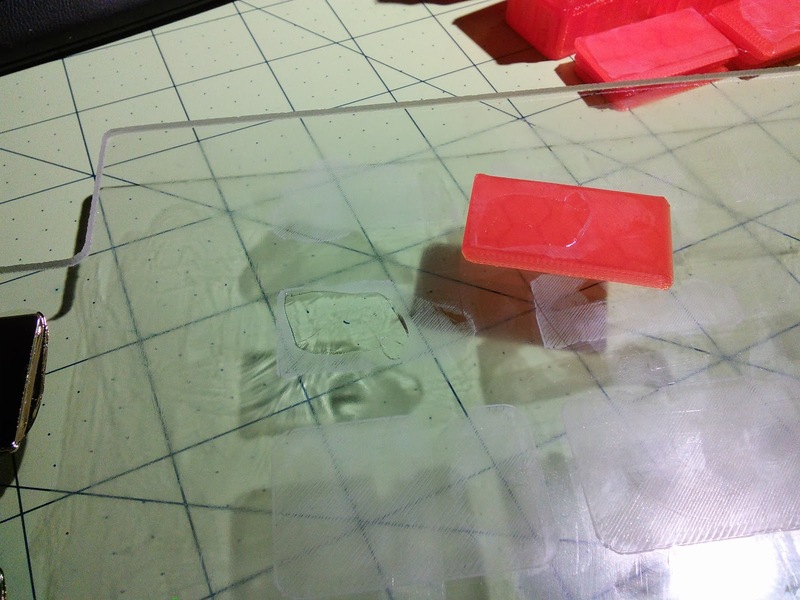 Upon ordering the upgrade I also picked up an extra glass plate in hopes of using one for printing while the other which just finished was cooling down and allowing for easy removal of the project, and so I'd not have to level the bed over and over. Well one reason to use a glass print bed is the you get an ultra smooth finish on the "bottom/1st" layer. However with the nature of some plastics such as ABS the thermal properties can cause "warpage" even if you have a heated build chamber and heated print bed. So typically you use an adhesive to better adhere your 3d prints to your print bed in hope to stop any curly before it has a chance to start! 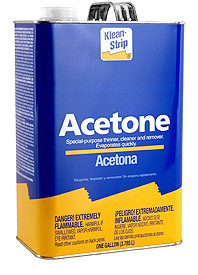 So lets talk about adhesives! I initially was using just blue painters tape, and while it works well any nick or imperfection would sometimes catch upon the printhead, especially if printing at 70 or 100 microns and thus would cause a warp point. Also you wouldn't get that ultra smooth finish with blue painters tape, you'd get the masking tape texture which actually is very nice if you're shooting for that kind of a finish. Next I went for hairspray, Aqua Net hairspray to be exact. While it did seem to work as well as the painter tape for the basics of ABS and PLA, I found it to be "messy" in that you had to spray apply it, which would result in "over spray" and you'd end up with sticky surroundings eventually, not to mention the urge to cough and cough because of the fumes from the aerosol. Also it would seem to "bead" up on the print bed and thus needed to be smeared via paper towl to get the really good coverage. 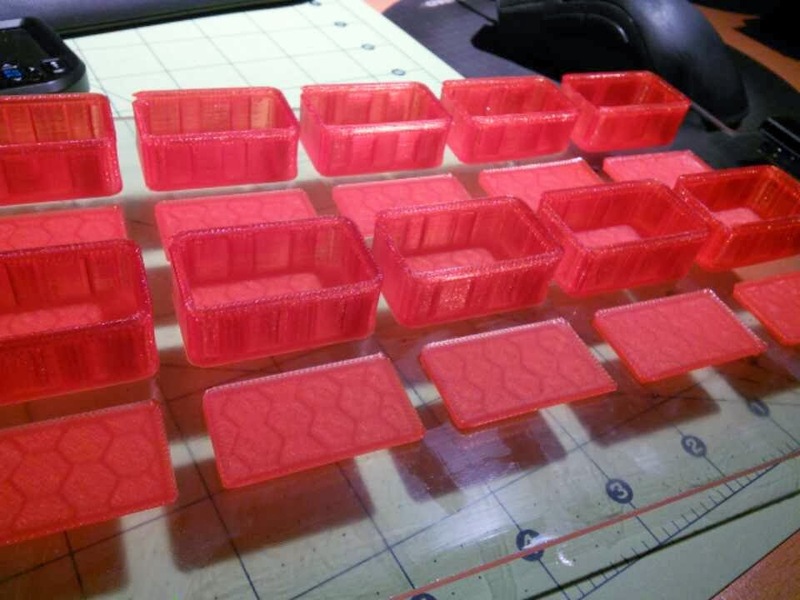 I heard of people using ABS Juice, which was a mixture of ABS, possibly scrap portions of previous failed prints, or just clip'd off a portion of filament from the spool you were using and Acetone. I've never attempted this for two reasons, for one you would need ABS Juice for every color that you're printing in, and two what does one do when you print with PLA as its almost impervious to PLA Solvents. Lastly I heard of using Glue Stick. In fact ultimaker II's now seemed to encourage the use of gluestick, as they included it in the ultimaker's II's box. This is the current adhesive I'm using. It works wonders for both ABS, PLA, and any other filament that I've tried so far, t-glass, wood, etc. (haven't tried Nylon yet). I just put a nice little smear upon the printbed as its heating and then when a print is done I freshen up the smear with a bit more of the glue. Elmer's® - Washable School Glue Sticks, Purple, 30/Pack - Sold As 1 Box - Perfect for school projects. However be it know you might run afoul of the dangers or printing on glass and using adhesives. 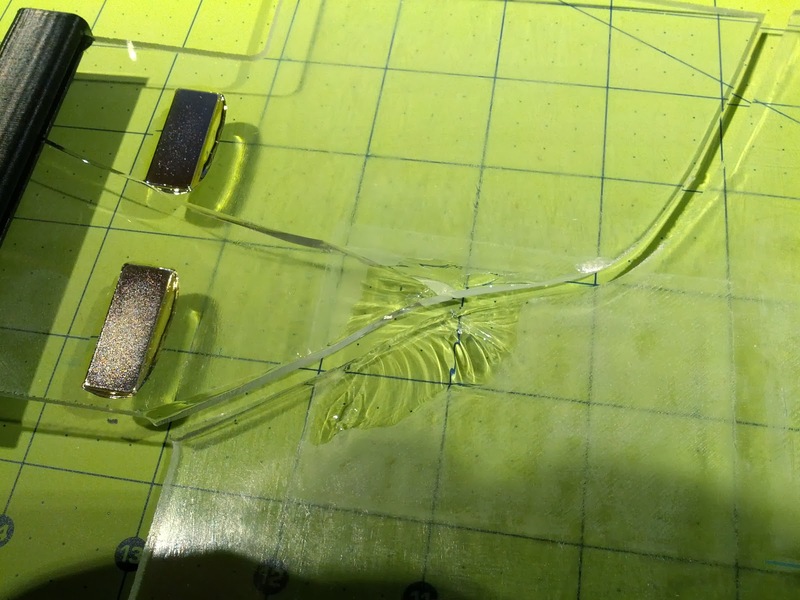 This pic illustrates an issue I had with some glass plates and thermal pressure/bonding of the glue stick adhesive..
and were released from the print bed. I saw that it had "pop'd" off with a chuck/chip of glass! as the print pop'd off and cracked the entire build plate! Regardless of the failures of the glass plates the glue stick is my choice of adhesive as its easy to use, works really well in holding down corners so no warpage and with the addition that its water soluble it readily cleans up wiht just a bit of hot water when your build plate becomes encrusted with too much glue. I think i'm going to just switch to regular glass from the hardware store as its easily obtained and cheaper than the custom build plates and the breakage is just something that I'll deal with when it occurs.